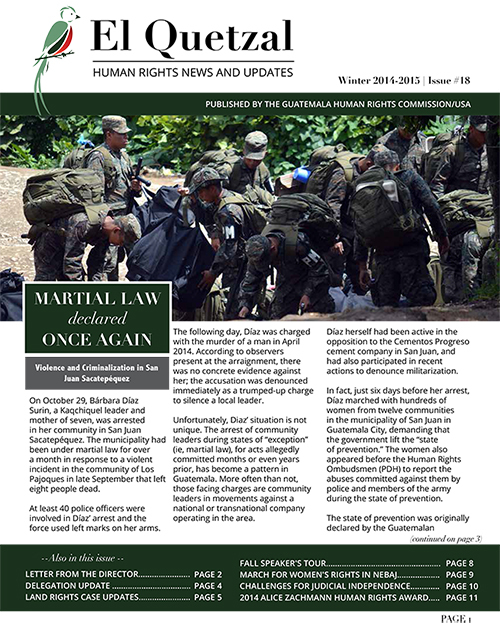 GHRC’s Winter 2014-2015 issue of El Quetzal highlights continued challenges regarding the defense of land rights and provides updates from a slew of important human rights cases. 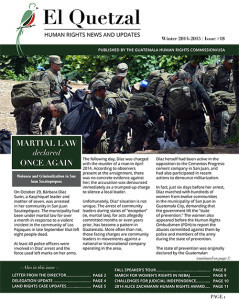 The issue also includes a report back from our Fall 2014 Speaker’s Tour with Miriam Pixtún and our 2014 Alice Zachmann Human Rights Defenders Award, as well as reflections on GHRC’s August “Women in Resistance” delegation to Guatemala. 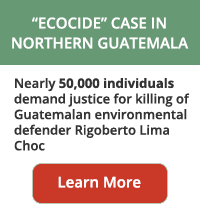 If you would like to receive El Quetzal in the mail, you can sign up here. 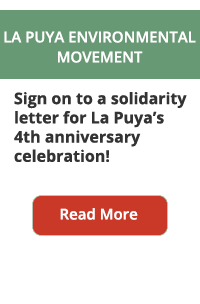 This entry was posted on Tuesday, February 17th, 2015 at 12:52 PM and is filed under GHRC. You can follow any responses to this entry through the RSS 2.0 feed. Both comments and pings are currently closed.